Rosin Tech Products is a group of rosin enthusiasts who are committed to bringing innovation to the industry and providing an excellent and reliable source for people who are passionate about rosin and their needs. The RTP Manual Twist is the latest addition to the Gold Series. The rosin press is built for the home users, and it provides the opportunity to produce high-quality rosin. The Twist is the company’s patent-pending press designed for maximum pressure. The RTP Manual Twist comes with 2 x 4 – inch dual heating plates. Each one of the two heating plates is controlled separately by a digital LCD that displays all the necessary information regarding pressing time and temperature. The gauge reading comes with Celsius or Fahrenheit degree measures. You can adjust the appropriate temperature digitally according to the type of product that you plan to press. You can also set the automatic timer for as long as it’s required in order to prevent burning the cannabis material. The temperature range is between 0 and 415 degrees Fahrenheit. The RTP Manual Twist comes with two bolts that can be screwed into the bottom of the machine. This means that you will be able to fasten it to a table or a workbench. The RTP Manual Twist includes a stainless steel table with pre-drilled holes to mount the machine on it. This table is sturdy, and it provides a large work surface for the rosin production. The table’s dimensions are 28.5 inches x 35.5 inches x 4 ft. 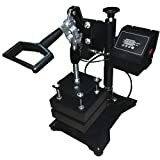 I got the RTP Manual Twist because I knew that manual presses are the best option if you want to press rosin material in your home or a personal setting. After using it for a couple of months, it hasn’t let me down not even once. 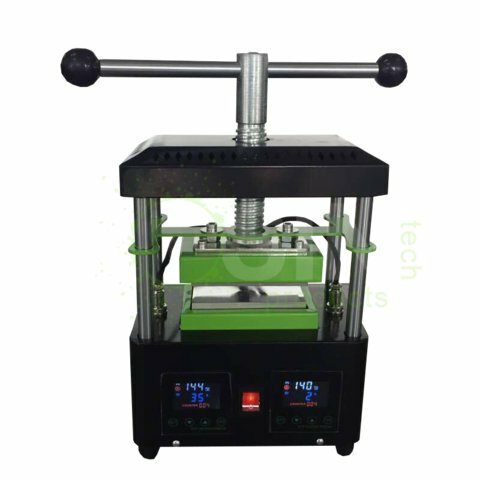 The rosin press is well-made, and the plates are very well-constructed. The cannabis oil will not drip from the plates, and they can also be cleaned easily. The machine’s dual heating plates delivered strong yields and enough pressure. I was able to achieve more than 5,000 LBs of pressure while using this particular press. The plates are perfect for sift and kief as well and you should use high pressure when you are pressing these materials. The custom designed heat presses impressed me because they are made of 100% aluminum, and this material qualifies for food-grade manufacturing and processing when you use adequate parchment paper. I recommend you make sure that the parchment paper you purchase is made in the US and that it’s also FDA approved for direct human food contact. Another thing I liked was the fact that the package included the stainless steel table for mounting the rosin press on it for more comfortable use. The table is really sturdy, and it offers enough surface for my rosin production. All I had to do was to screw the two bolts into the bottom of the machine to be able to fasten the rosin press to the table. 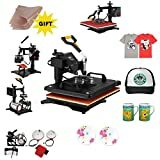 The manual that comes included along this rosin press turned out to be extremely useful because it contains all the necessary information and images to help you get started. 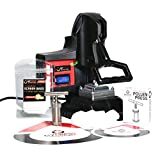 I used rosin presses before, and I already know how they work, but this manual will help any beginner get the hang of this manual rosin press. Overall. It was effortless to use, and the final product was always satisfying for my needs. 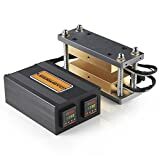 As I said, I worked with other rosin presses as well, and this model is able to compete with any of them thanks to its features and to the high-quality rosin that you can make with it. I would recommend it to anyone who wants to make rosin in their own home. The RTP Manual Twist comes with a Gauge Reading showing you accurate measures. The Digital Temperature Control will show you the precise temperature for each material. The Digital Automatic Timer comes in handy for preventing you from burning the cannabis material thanks to the fact that it keeps consistent press lengths. The machine provides microprocessor precision heat and temperature gauge. The RTP Manual Twist provides an even heat distribution. It comes with solid aluminum heat plates that will provide an extended lifespan to the rosin press due to the high-quality, durable material. This rosin press comes with a sufficiently detailed RTP operating manual that will provide all the necessary information to get the machine started and working effortlessly. The RTP Manual Twist rosin press doesn’t come with any rosin bags, and it’s recommended that you get some yourself. Other than this, there aren’t any issues with the machine and its performance. According to Rosin Tech Products manufacturer, no returns on any sales are permitted. All presses created by Rosin Tech Products, including this one, come with one-year warranty and this begins upon product delivery. During this year, the manufacturer provides parts free of charge for anything that might get damaged. 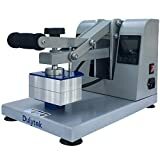 If the rosin press gets damaged beyond repair and it requires a return, the manufacturer covers the costs of shipping, and it will send the customer a new machine. The RTP Manual Twist rosin press is Rosin Tech Products’ signature rosin press targeted at the home user. Thousands of customers from all over the world enjoy making high-quality rosin with this machine due to the great results that it provides. 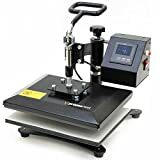 The resistant stainless steel table that is included in the package and has pre-drilled holes to mount your rosin press is extremely useful, and it offers a medical grade work surface for your rosin production. The RTP Manual Twist is one of the most appreciated rosin presses targeted at home users due to its set of features and simple use even for beginners.